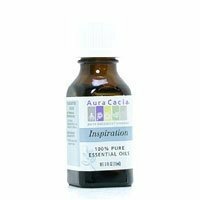 Inspiration blend by aura cacia 0.5 oz essoil inspiration blend 0.5 oz essoil ingredients citrus x Limon (lemon) oil citrus bergamia (bergamot) oil abides balsamea (balsam fir) needle oil ocimun basilicum (sweet basil) oil rosmarinus officinalis (rosemary) oil. Common name inspiration form essential oil safety notes caution if pregnant suffering from any medical condition or taking medication consult a health care practitioner before use. Dilute properly may irritate skin not for internal use avoid direct sunlight keep out of reach of children keep out of reach of children. For external use only. Dilute properly skin irritant. Avoid use in the sun. 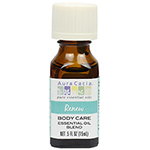 Product notes blended with lemon bergamot bf balsam fir needle sweet basil and rosemary. 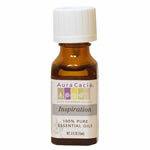 Refreshes the body revitalizes the mind and inspires the spirit. Directions dilute properly. Other ingredients lemon bergamot (bergaptene-free) balsam fir needle sweet basil rosemary warnings keep out of reach of children. As with all dietary supplements. Calm and center yourself with this focusing blend of lavender, neroli and petit grain to relax, calm fears and keep a level head. No need to hit the panic . Chill out with this calming blend of lavender, citrus and patchouli to diffuse anger, quiet arguments and create harmony. Don't let road rage get the best of you ? just chill. Tranquility Blend by Aura Cacia 0.5 oz EssOil Tranquility Blend 0.5 oz EssOil Ingredients LAVANDULA ANGUSTIFOLIA (LAVENDER) OIL ABIES BALSAMEA (BALSAM FIR) NEEDLE OIL POGOSTEMON CABLIN (PATCHOULI) OIL CYMBOPOGON MARTINII (PALMAROSA) OIL PELARGONIUM GRAVEOLENS (GERANIUM) OIL CHAMEAMELUM NOBILE (ROMAN CHAMOMILE) OIL. Safety Notes CAUTION IF PREGNANT SUFFERING FROM ANY MEDICAL CONDITION OR TAKING MEDICATION CONSULT A HEALTH CARE PRACTITIONER BEFORE USE. DILUTE PROPERLY MAY IRRITATE SKIN NOT FOR INTERNAL USE AVOID DIRECT SUNLIGHT KEEP OUT OF REACH OF CHILDREN Directions Dilute properly. Relaxing room spray 18 drops Tranquility 1 oz. water in a mister. 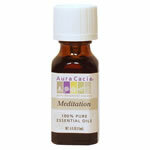 Calming inhalation Waft open bottle under nose. Warnings Keep out of reach of children. As with all dietary supplements consult your healthcare professional before use. See product label for more information. 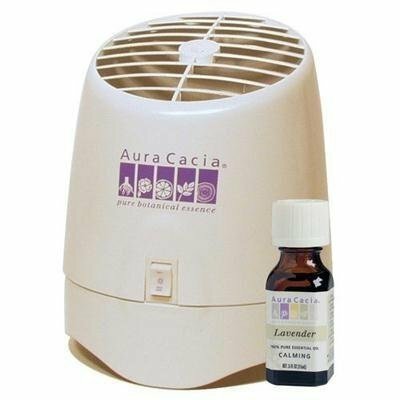 Aura Cacia Aromatherapy Room Diffuser Description: Contains Diffuser Unit and 5 Refill Pads. 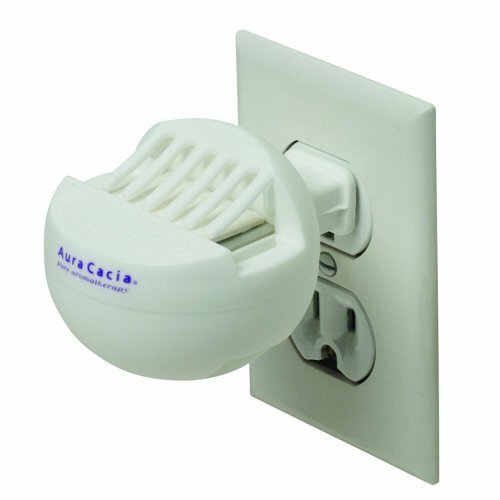 The room diffuser is a plug-in unit that uses low levels of heat to volatilize the essential oils. Disclaimer: These statements have not been evaluated by the FDA. These products are not intended to diagnose, treat, cure, or prevent any disease. A blend of lavender, coriander, geranium and rose absolute essential oils that fosters feelings of kindness and affection. Comfort the emotions or inspire love with a diffusion of this rosy blend. 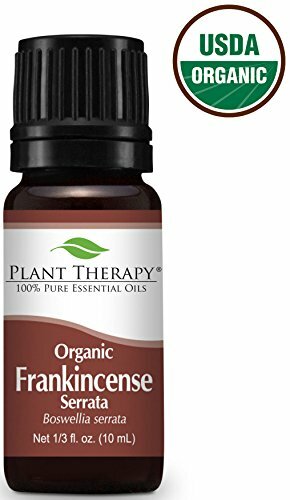 USDA Certified Organic Frankincense Serrata Essential Oil. 10 ml (1/3 oz). 100% Pure, Undiluted, Therapeutic Grade. 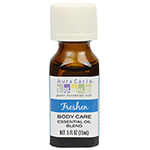 Aura Cacia Aromatherapy vaporizer comes complete with Filter, 0.5oz of an Essential Oil Blend, Operating Instructions and the Guide to Essential Oils. It will diffuse oil without the use of heat.